J.A. 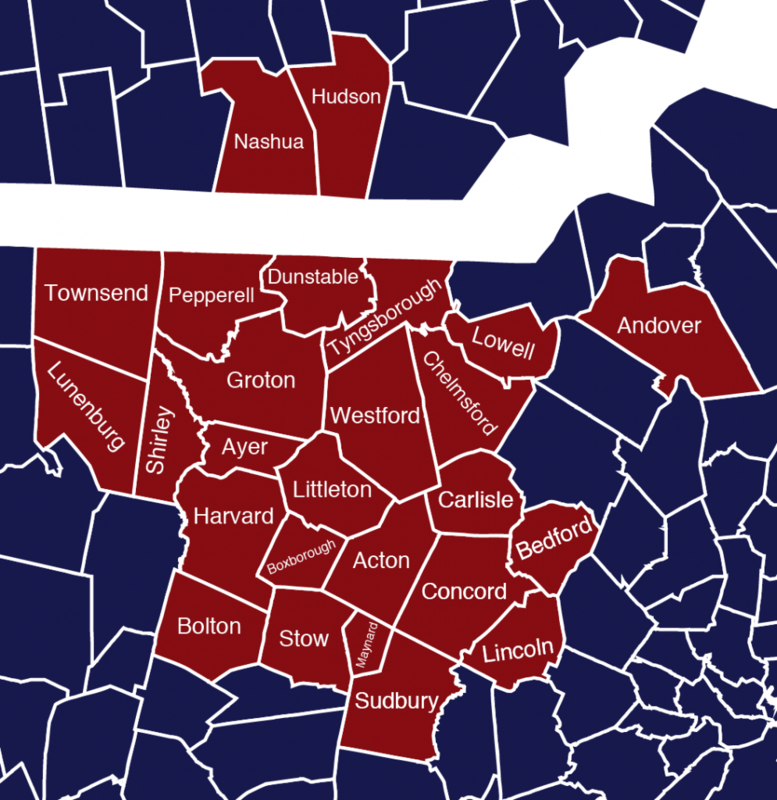 Healy & Sons is proud to serve a variety of homes and businesses in and around the Westford, MA area! Our service area starts near Boston and extends northward into New Hampshire. We are happy to have the opportunity to deliver heating oil, kerosene, and on-road and off-road diesel fuel, as well as quality equipment maintenance, and installation of heating and cooling equipment. We are thrilled to deliver premium fuel and quality service to the following towns in Massachusetts and New Hampshire. While our delivery area primarily includes the following towns, certain situations allow us to deliver outside of this area. Please give us a call to determine if your home or business is within our range! Don’t see your town listed? Certain conditions will often allow us to deliver outside of these towns. Call us at (978) 692-6543 to inquire about becoming a J.A. Healy & Sons customer.